A couple of years ago, WHOAS rescued 13 wild horses that had been captured during the capture season. These horses had been destined for slaughter when we stepped in. As noted in previous blogs all these horses were adopted out to kind and loving homes. Unfortunately, today, one of the people that had adopted two of these horses is unable to continue to care for them. As a result, WHOAS has agreed to help find both these horses new homes. Both of these beautiful animals have had minimal work done with them although they can be approached and patted. They are not properly halter broke and would need experienced individuals who are knowledgable in quieting an older unbroke horse. One of the horses is three; the other one is four. WHOAS hopes that we can find a caring and loving home for them. They do not have to stay together. 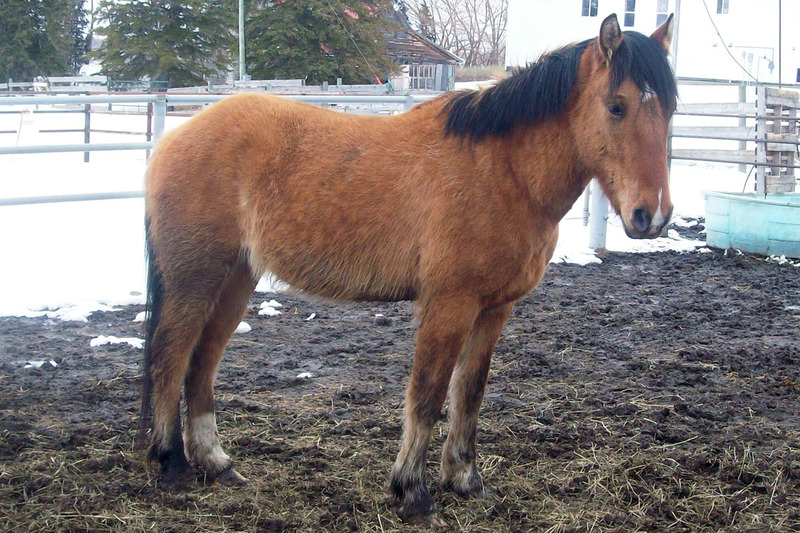 If any of our readers wishes to or knows of someone who may want to adopt a wild horse of their own, they can contact me through the e-mail address which is bob1603@telusplanet.net Or you can write to WHOAS at Box 70022, Olds, AB, T4H 0A3. I was wondering if a person can come and see these animals before adopting them? and where abouts are u located? and how much are they to adopt? 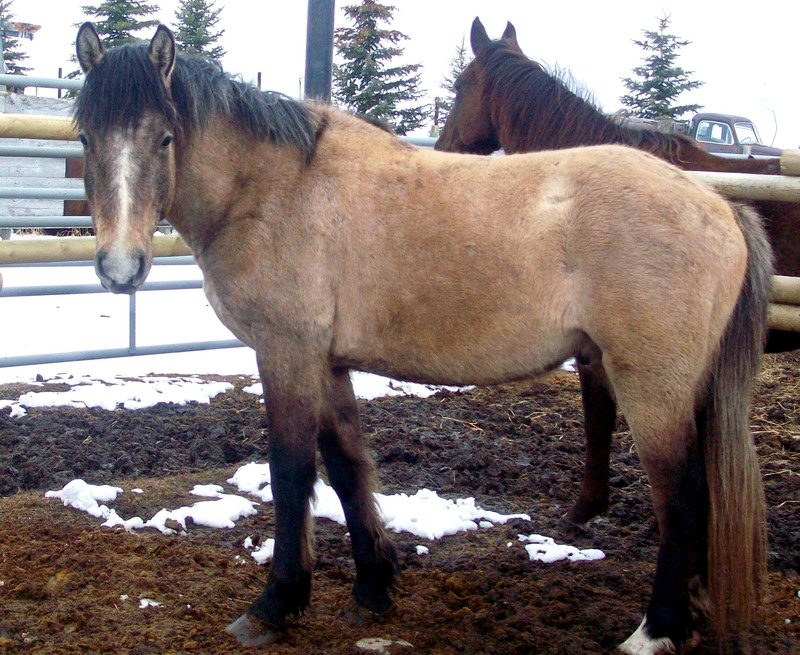 Bernice, the contact email for those wishing to adopt any of the horses that come into WHOAS’ care or to volunteer for WHOAS at our facility or in any other capacity is WHOASalberta@gmail.com. Thank you for interest in these horses. i have been interested in adopting one of these guys/girls for some time. Attempted to contact some of the ranchers culling last year with no success of course. I have worked with horses most of my life and couldn’t possibly choose one off a web page. I must meet them, see how the put together and see them move. The grulla’s really interest me but I would prefer to talk to a live person about them then online. Any chance at that?